During the cold winter months, some gloves have the ability to provide extra warmth due to an internal heating source. A simplified circuit, similar to those in electric gloves, is comprised of a 9 V battery with no internal resistance and three resistors as shown in the image below. What direction do electrons flow through the circuit? Remember that convention dictates that current flows in the direction of positive charge (protons), thus, electrons flow in the opposite direction. Also remember that the larger length on the battery symbol on the circuit diagram indicates that current flows in this direction. In the diagram below, we can see that current flows clockwise, thus electrons flow counterclockwise. Batteries and AC current are often used to charge a capacitor. A common example of capacitor use is in computer hard drives, where capacitors are charged in a specific pattern to code information. A simplified circuit with capacitors can be seen below. The capacitance of C1 is 0.5 μF and the capacitances of C2 and C3 are 1 μF each. A 10 V battery with an internal resistance of 1 Ω supplies the circuit. What direction is current flowing through the circuit? 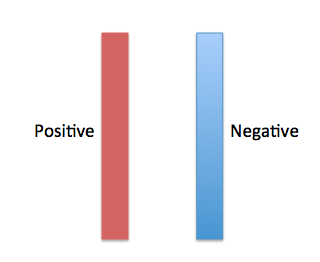 Remember that convention dictates that current flows in the direction of positive charge (protons). Also remember that the larger length on the battery symbol on the circuit diagram indicates that current flows in this direction. In the diagram below, we can see that current flows counterclockwise. During the cold winter months, some gloves have the ability to provide extra warmth due to an internal heating source. A simplified circuit, similar to those in electric gloves, is comprised of a 9V battery with no internal resistance and three resistors as shown in the image below. 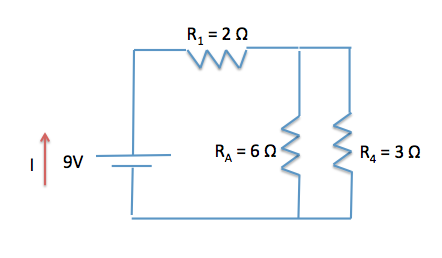 How much current flows through resistor R4? First, we need to determine the voltage drop across R4. Given that RA and R4 are in parallel, we know that the voltage drop across each is the same. 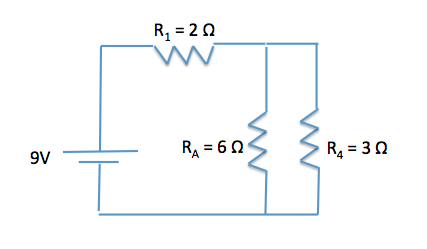 The voltage drop across R1 can be calculated using the Icircuit (all the current generated by the battery’s potential difference must pass through R1 because it is in direct series with the battery), and the resistance of the resistor. By taking the inverse of the equation, we can see that RA4 is equal to 2Ω. Now, using V=IR allows us to find the current in the circuit. Plugging this value in, we can find the voltage drop across R1. Now we can determine the voltage drop across the parallel resistors by subtracting the voltage drop across R1 from the battery. this value will be the same for either RA or R4. We can now use V = IR to determine the amount of current that flows through R4. Additionally, due to Kirchhoff’s first law, we know that current in must equal current out in a junction. Thus, because R4 has 1.5 A of current, RA must have 0.75A. Thus makes logical sense because electrons take the path of least resistance, meaning the resistor with the lowest resistance will have the greater current. What is the current that flows through the circuit? Because we are being asked the current that flows through the circuit, we can use the formula V = IR because we have the voltage drop across the circuit (9V) and can calculate the equivalent resistance. Now, using V = IR, we can find the current. If the peak voltage across a resistor in an AC circuit is , what is the rms current across it? The pure voltage is , allowing us to solve for the rms voltage. Now we can use Ohm's law to find the rms current. A 12V battery is connected in a circuit containing two resistors in parallel. The resistors have resistances of and . The resistor is then unscrewed, disconnecting that parallel branch. How does the new current, If, across the resistor compare to the original current across that resistor, Io? Regardless of whether the resistor is present, we can simply focus on the current loop containing the battery and resistor. After the resistor is removed, the voltage will remain unchanged. Water has been spilt on the circuit, occasionally creating a short in the circuit. The short is represented by the switch, which is closed when the circuit is shorted. What is the difference in power loss through the circuit when the switch is closed compared to being open? We will need to calculate total equivalent resistance for each of the two scenarios to calculate power losses. A battery is connected in series with a resistor and a inductor. What is the current in this circuit after a long period of connection? 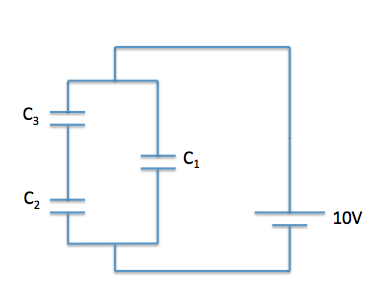 When the circuit is first connected, the current increases from zero to its final value. During this time as the current changes, the inductor has a voltage across it. After a long period, the current has built up to its maximum value. After a long period, . Plugging in our values for voltage and resistance, we can solve for the final current. 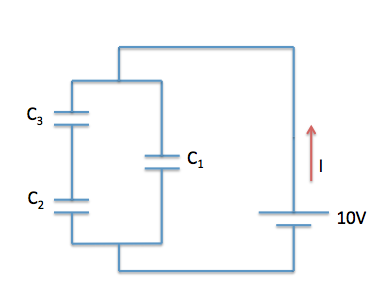 An circuit contains a resistor, capacitor, and inductor in series. If this circuit is connected to an AC generator, what angular frequency would maximize the current flow? An circuit consists of a inductor, capacitor, resistor, and a voltage source with maximum voltage of in series. Approximately what is the rms current in this circuit at resonance?